Mix eggs, margarine, and sugar until creamy. Gradually add flour and milk, alternating. Add flavoring. Spray round 8 inch cake pans with Bakers Joy. Put 1/2 cup of dough per 8 inch pan. Bake between 325 and 350. Layers are done when they pull away from the sides of the pan. Put layers on rack to cool. This will make 15 layers. After layers have cooled they can be stacked and each layer iced. After all layers have been stacked, the top and sides can be iced. 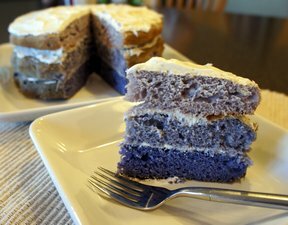 These layers are delicious iced with chocolate icing or plum jelly. 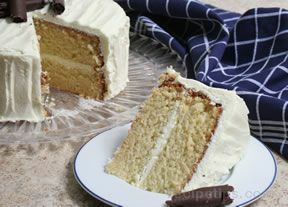 The key to icing these layers is to have the icing of a consistency that will soak into the layers.